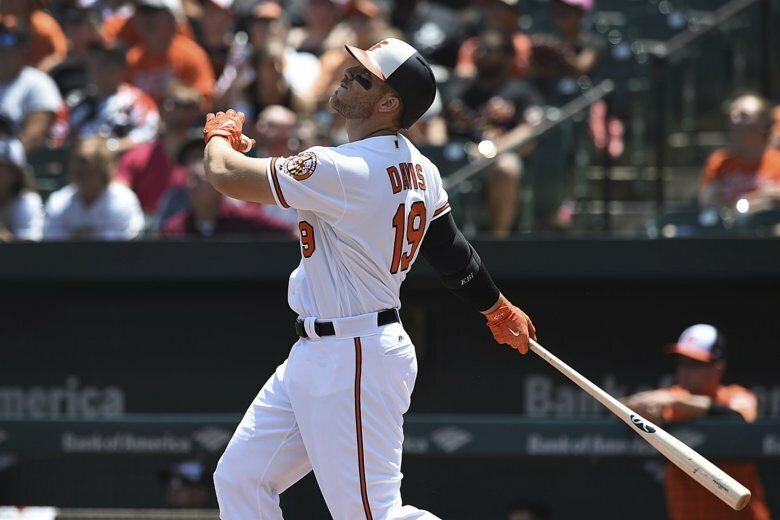 TAMPA, Fla, (AP) — Chris Davis went 1 for 2 in his return from a strained left hip flexor as the designated hitter for the Baltimore Orioles against the New York Yankees on Tuesday night. Coming off a dreadful season, Davis is 2 for 14 with eight strikeouts in six spring games. He took a called third strike from Jonathan Loaisiga in the first and lined an opposite-field second-inning RBI single to left off the right-hander. Davis agreed to a $161 million, seven-year contract with the Orioles in January 2016. The two-time AL home run champion saw his production decline in 2017, and last season he hit .168 with 16 homers in 470 at-bats.